Pre-enlistment studio portrait of Joseph Briddick, later 555 Private (Pte) Joseph Briddick, 4th Battalion, of Balmain, NSW. 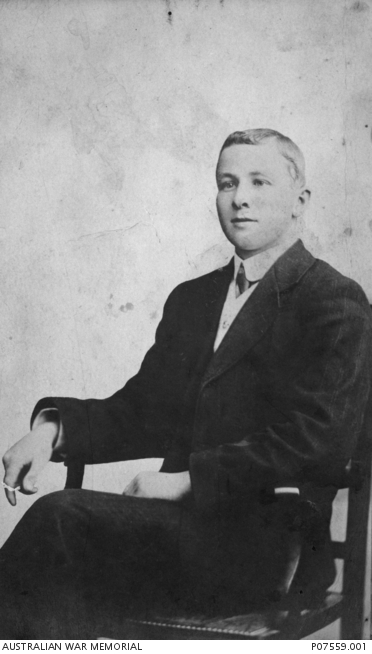 A miner prior to enlistment, Pte Briddick embarked with F Company from Sydney on HMAT Euripides on 20 October 1914. On 4 October 1917 he was killed in action at Broodseinde Ridge, Passchendaele, Belgium, aged 23.